THANK YOU TO ALL FOR A SUCCESSFUL FIRE PREVENTION WEEK 2015!!! Huntingdon, QC: 10-1-2016 at the Heritage Elementary School. If you would like info on having a Fire Prevention Demo done at your facility, contact us on Monday nights at 518-483-5908 or leave message at 518-651-0190 or 518-651-7696. 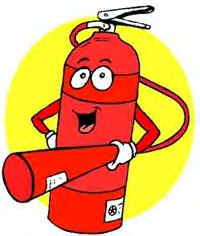 Click HERE for a printable Fire Prevention coloring and activity book. Click HERE for a printable Fire Prevention firetruck activity.